As a coach when dealing with parents of your players its important to remember this key point. If the parents’ of your players didn’t care, they wouldn’t make such a noise, fuss or try to interfere so much. In my experience, behind almost all parents ‘meddlesome’ behaviour is the positive intention – they want the best for their child. Unfortunately their ways of expressing their positive intention are often poorly chosen, simply because they don’t know a better way. During an Investec International Rugby Academy course being hosted at Monument High School in Krugersdorp we had a discussion with the coaches on the course about their various (successful) strategies which they used to manage parents more effectively. 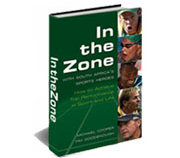 The context of the conversation was boys rugby, however these ideas and strategies can be applied to boys and girls of many other sports. 2) The “father of a champion” parent who can’t believe that his son isn’t starting or playing a more prominent role, or can’t understand why his son might be substituted off – the guy who thinks his son can do no wrong and is destined to be a hall of famer if these blind coaches could just see it!! 4) The ignorant parent. The parent who speaks, argues or even shouts the odds about something they don’t know a lot about. This can be in the form of the referee hater -the parent who is constantly being ‘done in’ by biased refs! So whilst referee bias can be real, the parent turning things into a blame session ignores the fact that the referee is human too and that their son won’t learn as much as possible if its “all the refs fault” This type of parent is often the loudest on the sidelines during the game and can often embarrass his son. 6) The demanding parent. This is the parent whose child’s game is never good enough. He is constantly on his son’s back about his performance, and the pressure from dad becomes a bigger factor when playing than the child’s love of the game. Sometimes players like this will do things that are designed to impress dad, or be more like dad – instead of what the game or practise requires. Players like this often flourish on tour- when dad doesnt come to watch the game. 7) The incentive parent. 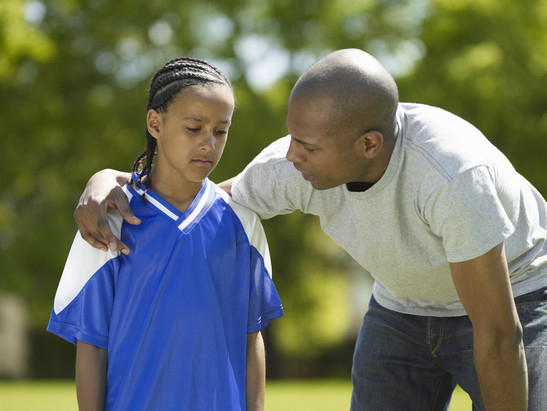 This is the parent who promises R200 for every try his son scores or some other incentive (sweets, gifts, etc) This creates a selfishness in the player and encourages him to put himself before the team and can lead to problematic team dynamics, as well as poor option taking inspired by the lure of the incentive. 8) The misinformed parent. Sometimes children will not tell their parents the whole truth about why they were dropped, or what the coach said on a contentious issue. They will be less than 100% honest to protect themselves, and that can cause the parent to unnecessarily make a mountain out of a molehill or create a situation where the coach is solely responsible for a situation when he isn’t. Whilst I have described these scenarios from the view of a father, this problem parent type can also be in the form of a mother, elder brother or grandparent or other family member. One of the peculiarities of our conversation was that the coaches agreed the area this problem was most prominent was at a schoolboy level, at club rugby and higher levels it didn’t seem to happen as often or as seriously (in general). The first 4 types of problem parents are more public, there will be very direct evidence of this type of parent, the last 4 are often more private and subtle; you will have to look for the results of this style of parenting in your players. Most of these problems surface during game time, the heat of the moment and so (for me) the answer to solving them is to pre-empt them. I highly recommend calling a pre-season meeting when you get the parents of your players together. It’s a chance to calmly share your vision for the season, your coaching style and philosophy, your selection policy, your non-negotiables and to pre-emptively talk about any areas that may be contentious. This is also your chance to chat to the parents about what you expect of them, and to ask them to discuss amongst themselves what their code of conduct should be to support their children having the most successful season they can. Here I would strongly suggest you encourage your parents to have a positive home environment, an environment that discourages blame and dissension within the team. 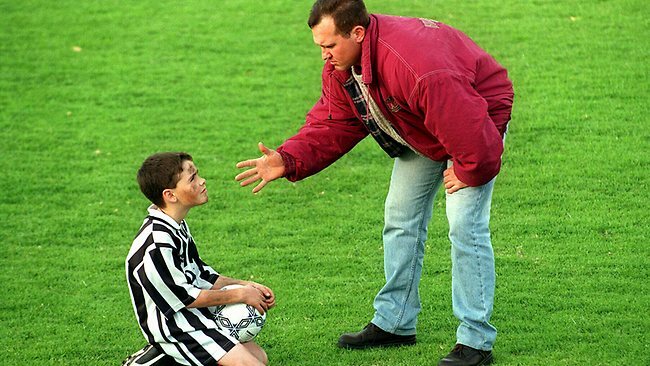 Team-mates will make mistakes, and if parents encourage their sons to blame or hold grudges this will limit the team spirit and ultimately team performance. I would also encourage you to ask parents to be consistent with their kids, to treat them the same way whether they win or lose. It is important also to create the frame of mind for your parents that, “The cream will always rise to the top.” If there son isn’t initially in the first XV, if he is talented enough and works hard enough he will eventually get there. Another important point to make is to create an open line of communication with the parents. Encourage them to contact you if there are points that need to be clarified in regards to their son. This can pre-emptively stop molehills becoming mountains when their kids are less than 100% honest. This is different from accepting coaching suggestions and game tips. It is also important to let the parents know when your “office hours” are, what time’s are appropriate to phone or to set up a meeting. In this group meeting it may be useful to share your thoughts about the more private types of problem parents, and to explain your thinking why you want to discourage this kind of behaviour. In the pre-season meeting it is very useful to acknowledge their passion and commitment for their children but also to discuss and define your roles with them. What you expect of their son, what they should expect of you as the coach and what you expect of them as the parents. The aim of this conversation is to get their individual and collective commitment to supporting you as a coach, as for that season you have that job and will always do it to the best of your ability. You also give your commitment to them that you will be as fair as possible. What you are asking of them is that even if they don’t agree with you, they will never undermine you. When parents take the time to phone you and discuss ideas, whether they are ‘coaching issues’ or ‘child issues’ it is advisable to hear them out completely before you add your input, in whatever form. Sometimes a parent just wants to be heard, and by providing this opportunity for the parent to ‘vent’ and ensuring that you are not being defensive (or attempting to counter-attack) to any accusations you can resolve things more easily. A simple explanation will often result in resolution; if you become defensive too early, or jump into justify or explain things too early this may delay the process at arriving at that simple explanation. When dealing with parents who wanted to ‘help out’ there was 3 distinct strategies. The first strategy was for the coach to say that he works with the boys and the boys alone and share this as a norm with the parents who want to coach. This means the coach won’t discuss anything with the parents related to coaching, at best he will greet them , but the coach will not accept any advice, tips, ideas or ‘moves’. His job is to work with the boys and not the parents. If you are too heavy handed with this style, it stops the “open lines of communication” that can be critical in nipping any small team negatives in the bud. I would suggest making it very clear to your parents what the difference between “coaching tips” and “open lines of communications” is. The second strategy was to create a policy where parents were welcome to discuss ideas with the coach when appropriate; however he was not under any obligation to do what the parent said. He would listen and still do whatever he felt was right. 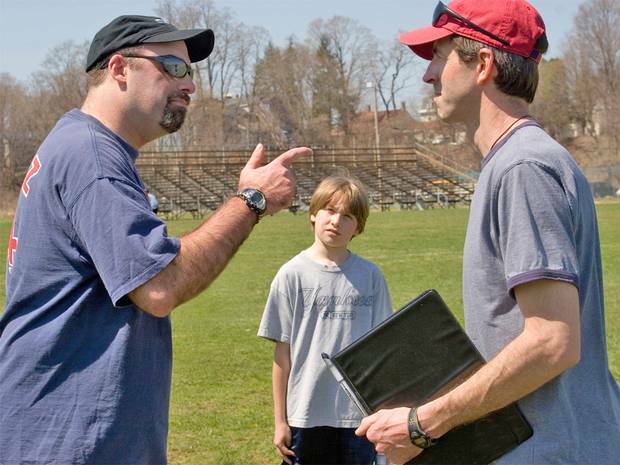 This can be tricky to manage as a coach can create parent ‘favouritism’ and this may invite an overload of unsolicited advice which by itself can create pressure. As such this style needs to be carefully explained and managed. The third strategy is trickier still. This is the strategy of engaging parents who want to contribute as ‘consultants’, the big risk here is that these parents will get involved beyond the role you had specified for them (hopefully you made that clear) and take over your job as coach. Sometimes these parents will take praise for success and blame you (the coach) for failure. It can also be the case that having a parent consultant works very well – provided they are skilled at their role and they stick to their role. It comes down to defining roles, feedback and communication and holding each other to agreements. If you struggle in this area, I would suggest not taking on a parent ‘consultant’. Special thanks to Investec International Rugby Academy head of coaching Greg Miller for the added input into this article. The first version of this article was first published on rugbyiq.com - a quality rugby resource for learning.